A statement bath takes bathing bliss to another level, but there are so many styles and shapes to choose from. Luckily, our extensive bath collection is sure to have something to suit all tastes and spaces. Two of the latest additions to our tub portfolio are the Alveston and Stretto Baths – we’re still deciding which one’s our new favourite! 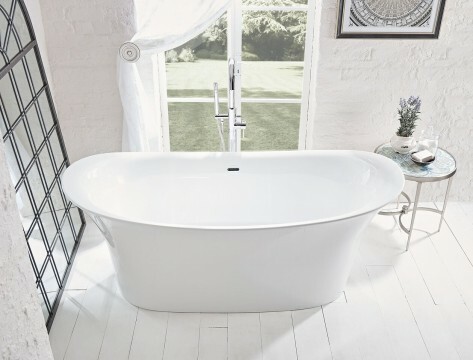 Our freestanding Alveston 1700mm Double Ended Slipper Bath is the perfect choice if you’re after a stunning centerpiece for a period bathroom. Measuring 1700mmL by 720mmW by 785mmH, the Alveston offers plenty of generous bathing space, without skimping on style. Made from smooth, glossy, double-skinned acrylic (with resin reinforcement for additional strength), it retains heat for longer, which means you can wallow in warm water to your heart’s content. It even comes with a choice of chrome, white or black feet, so you can customise your tub to complement your bathroom’s colour scheme. The Alveston looks equally good with deck mounted or freestanding taps. If you’re keen on contemporary style, feast your eyes on our new freestanding Stretto Bath. This modern take on the classic bateau bathtub features sweeping contoured lines for an eye-catching yet elegant focal point. Measuring 1750mmL by 790mmW by 700mmH, the double-ended Stretto incorporates plenty of room to soak and de-stress. It also keeps your bath water warmer for longer, thanks to its fantastic thermal properties. Why not make the most of your precious immersion time with some retro bathing products? 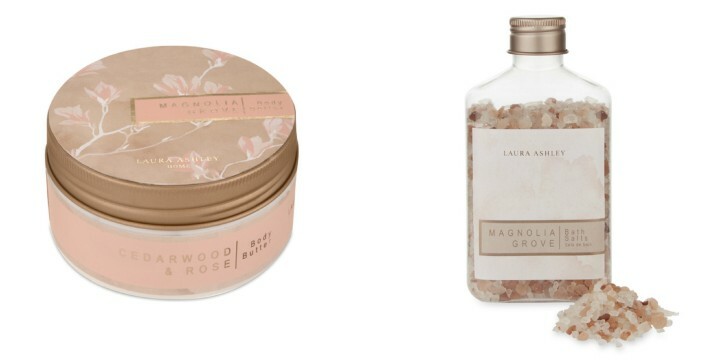 We love Laura Ashley Magnolia Grove Coloured Bath Salts. Scented with gorgeous hints of cedarwood, they’re the perfect ingredient for a relaxing bath after a long, hard day. There’s even a matching moisturising Magnolia Grove Body Butter to slather on afterwards! And when you finally emerge from your statement tub, refreshed and restored, make sure you surround yourself in a soft, fluffy bath sheet. The versatile duck egg hue of these Laura Ashley Josette Towels will add a subtle accent colour to your bathroom decor. Alternatively, go big and bold with patterns. If florals are your thing, you’ll adore these Couture Printed Towels and their stunning rose motif. After luxuriating in warm water and patting yourself dry, you can’t beat wrapping yourself up in a cosy robe. Staying with the floral theme, how gorgeous is this Roses Shawl Collar Robe? 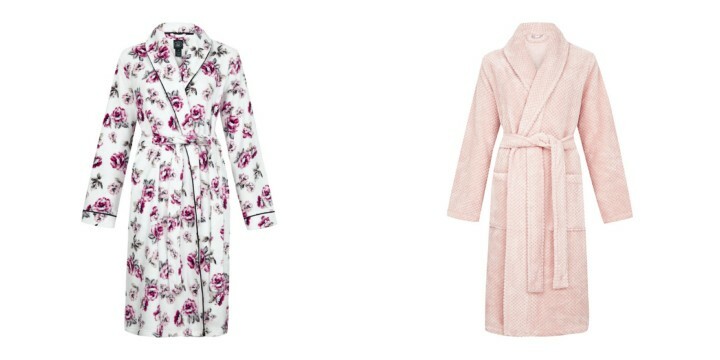 Or snuggle up in this Pink Classic Robe – perfect for some post-bath pampering! Visit our website, Facebook and Twitter pages for more bathroom inspiration and click here to find your nearest Laura Ashley Bathroom Collection retailer, who can help you select your perfect statement bath.